We’ve past the usually celebrated marker of Samhain on October 31st. and in these last few days of this series we are reaching towards the astrological date of Samhain on November 6th -12:25a.m. Nov. 7th. On the Witch’s Wheel of the Year, the quarter Sabbats are marked by the dates of the Equinoxes and Solstices. 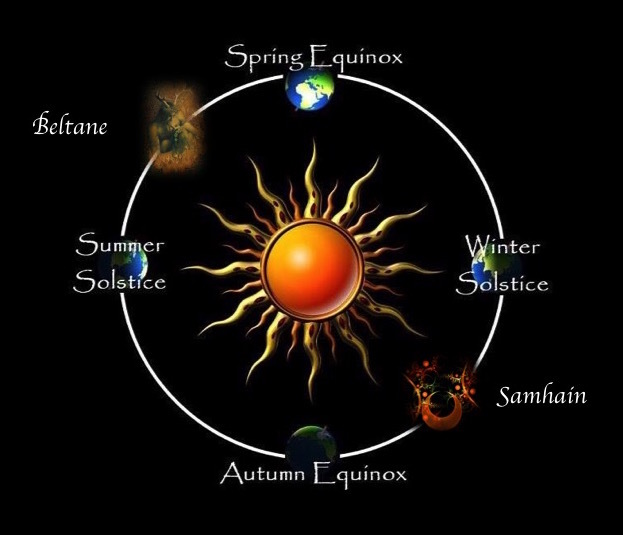 These are the fixed astronomical dates and on the dates at the mid-point between each Equinox to Solstice, Solstice to Equinox the cross-quarter Sabbats of Samhain-Imbolc-Beltane and Lammas are celebrated. As it sounds, the true date of these events is the calculation of exact mid-point of days between those quarter dates.